Thanks to digital technology in audio production today, the “volume” of something became more of a choice over the years, and that choice was always more. More low end, more high end, more tracks, more loudness etc. A choice that was all a little to tempting (and easy) to make for kind mix engineers everywhere. Thus, as technology progressed, so did the volume. Is louder better? No. But do I think it is? If I am being honest, then yes. The key word is “think”, because it’s all in the mind. That little psychoacoustic effect has charmed me many a time (I stand in good company I’m sure). Now, I’m not nit picking progress, but for me the holy grail of a great mix is balance (no pun intended) between quality and quantity. Does one have to suffer or can you have it both ways? Well, I believe you can, thanks largely to todays on-line streaming standards. These streaming standards are often unique to each streaming service but their fundamental principal is the same. Every song is “loudness normalized” for playback level continuity. No song will be or feel louder than any other now. War over?.. People are consuming audio content more and more through online streaming services than ever before. 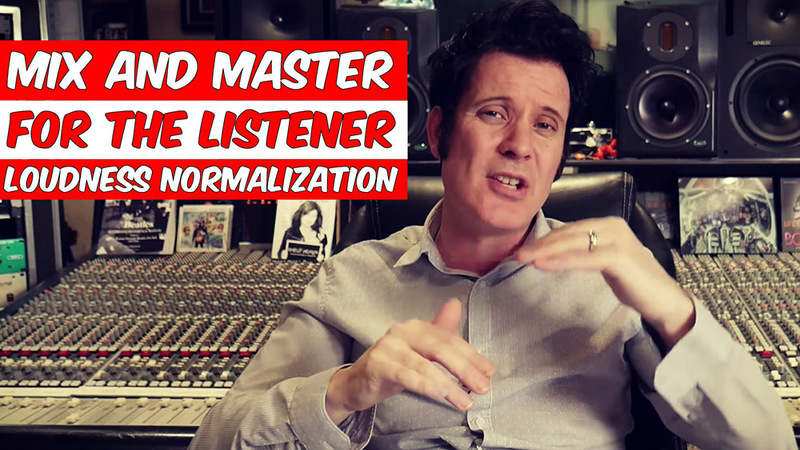 Before I continue, I need to make something clear: “normalizing” is not the same as “loudness normalizing.” Loudness normalization calculates the perceived loudness as well as the peak loudness and calculates an average using these important parameters together. This is often seen as a PLR (peak-to-loudness-ratio) meter in the latest tools available for mixing engineers to utilize today when preparing a mix for streaming. These latest industry standards are not limitations, but fresh opportunities. Opportunities to reel things in a bit and have your cake and eat it too. Ahhhh, it’s the “reeling” things in part that people may not trust themselves to believe. Like myself at first, but fear not, once you understand this new frontier, there are advantages to be had! Like it or not these new streaming standards are here to stay. Once you understand the process you can begin to use it creatively. My advice? Try a program like MasterCheck by NUGEN Audio in your workflow. This software will allow you to check your mix through the latest industry on-line streaming services like Apple, and Spotify, and even YouTube, in advance and in real time. Previewing a mix in advance is a HUGE benefit. Often, the characteristics of a mix can change when rendered through a loudness normalization process. Having the advantage of hearing the effect on a mix in advance lets you stay in charge of the creative process from beginning to end. That’s good in my books! We are at the dawn of a new era in audio consumption. Loudness normalization has levelled the listening field. Is it for better or for worse? Well, that’s now completely up to you.